Diplomacy exists in a dual world of clarity and ambiguity. In a sense, it can be understood as a process clarifying points of ambiguity between two competing powers. Negotiators intentionally use the element of ambiguity for many reasons: they might want to bring rivals to the negotiation table, avoid a war, raise their leverage, force a rival to concede, or bring negotiations to an end. So, diplomatic ambiguity is in itself neither a winning or losing tactic, but a tool that negotiators can use one way or the other. 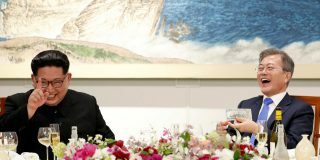 Even before it began, it was clear the historic Trump-Kim summit in Hanoi in February would be dominated by ambiguity: on the definition of denuclearization, on North Korea’s willingness to actually give up its nuclear weapons, on what kinds of reciprocal measures the U.S. could offer, on when the sanctions would be lifted, and more. The definition of denuclearization was one of the most ambiguous concepts at the Hanoi summit. For the North, however, it is ambiguous. 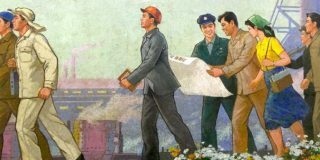 Pyongyang’s interpretation is twofold: the elimination of all nuclear weapons on the Korean peninsula, and the elimination of the nuclear threat on the peninsula. However, it is not easy to understand what that threats is and what measures should be taken. Sometimes the North has demanded that the U.S. end the nuclear umbrella and called on Washington not deploy strategic assets in and around the peninsula. It is not clear whether they want U.S. troops to withdraw from the peninsula, and whether they want the U.S. to withdraw all strategic assets in Japan or Guam. What constitutes a “strategic asset,” too, is up for debate. Whether Kim Jong Un is willing to denuclearize is probably the toughest question for experts on Korea. Some are positive that his need for economic development might create a rational incentive to give up nukes. Others are pessimistic, if not cynical, saying the North has cheated in the past and that Kim Jong Un can’t survive without nuclear weapons. When Ri Yong Ho, North Korea’s vice foreign minister, spoke to press after the Hanoi summit, he said that the U.S. had demanded destruction of all nuclear-related facilities in the Yongbyon area. He did not say whether other facilities exist, nor whether they would be part of negotiations in the future. It is clear that North Korea is exploiting the tactic of diplomatic ambiguity, likely hoping to get bigger rewards or win more time. WHEN WILL SANCTIONS BE LIFTED? The U.S. is also using a similar tactic, saying they can lift economic sanctions while refraining from specifying when or under what circumstances that might happen. President Trump, after all, has not said much about lifting sanctions: instead he has stressed that sanctions will remain in place until the North denuclearizes or that the future of the North is tremendous if denuclearization takes place. From the North Korean perspective, those remarks have nothing to do with lifting sanctions: they are vague and empty promises. Just two weeks ago, President Trump tweeted that “I have today ordered the withdrawal of… additional Sanctions!” There were no additional sanctions that day, and his tweet provoked a great deal of misunderstanding. 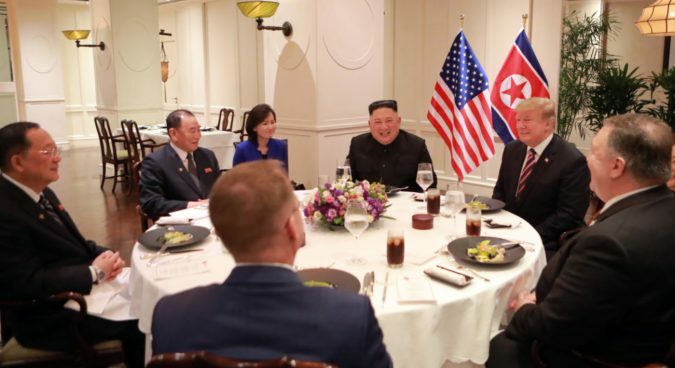 As a result, we can hardly blame the DPRK side for having little confidence in whether the U.S. has a genuine willingness to lift sanctions on the North, and for questioning how much they would need to give up in exchange. In walking away from a bad deal in Hanoi, President Trump created another source of hot debate: whether that decision was motivated by domestic politics or by what had been on offer from the North. 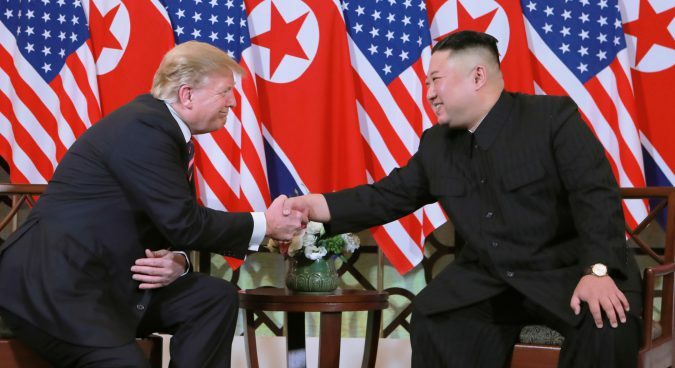 Just after the summit in Hanoi, the President claimed to have demanded full denuclearization, but that the North had rejected it — he had concluded, he said, that no deal was better than a bad deal. Later, however, he blamed political opposition back home, admitting that domestic issues had contributed to his decision to walk away. It’s not, therefore, clear what needs to be improved for the next round of summitry to succeed: the level of readiness of the North or the political atmosphere in the U.S.? It is natural for observers to complain of too much ambiguity in policy, especially when it comes to North Korea. These complaints have led to many pressing the Trump administration to pursue a more hard-line policy. However, these ambiguous points should not be regarded as representing a dead-end for negotiations: ambiguity in definitions of denuclearization or reciprocal measures, as long as they are being worked through, tie both sides to the diplomatic process. Of course, there is also the risk that it leads to tensions re-emerging. In the history of North Korea nuclear negotiations, we have one positive example and one negative example of diplomatic ambiguity in action. 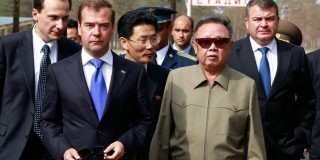 On September 19, 2005, the Six Party Talks was wrapping up two years of negotiations on the denuclearization of North Korea: the final thorny point was about whether the other five parties would provide a light water reactor to the North. North Korea had vehemently demanded it, and the U.S. had no intention of conceding. The representatives from the six nations had almost agreed on a draft agreement, short of agreeing on this one point. One of the biggest issues of the time, the denuclearization of North Korea, could have been resolved if the issue of the light water reactor was solved. That discussion never took place. 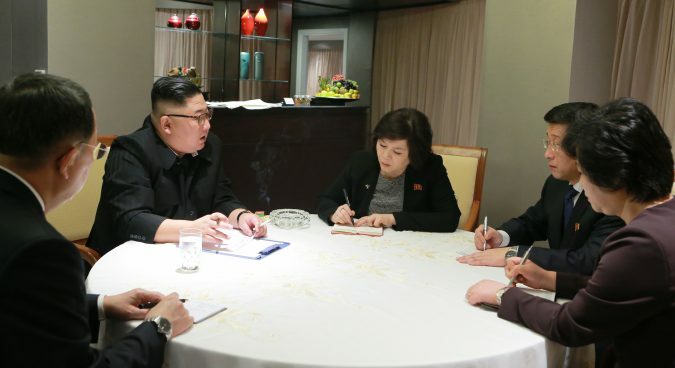 Nonetheless, the element of diplomatic ambiguity pushed the negotiators towards the adoption of an agreement on denuclearization. Sometimes, however, it can create a whole new conflict. The “Leap Day Agreement” is a typical example. On February 29, 2012, North Korea and the United States adopted a new agreement on denuclearization. The word “missile” was the point of contention between the two sides; the U.S. claimed that phrase included space rockets, because they use missile technology, while North Korea argued that space rockets with a peaceful purpose had never been part of the deal. The DPRK announced the resumption of rocket launches just 16 days later, and conducted a test about a month later. The agreement fell apart, and the security situation of Korean peninsula deteriorated. So, ambiguity turned into a time bomb. Diplomatic ambiguity is in itself not a bad or a good thing. It is just a usual part of the negotiation process, like a big block of ice before an ice sculptor. What matters is what the two sides decide to sculpt. Subscribe to read the remaining 1412 words of this article. 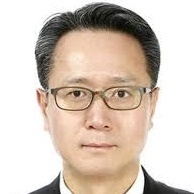 Wang Son-taek is diplomatic correspondent for South Korea's YTN news network and one of the country's leading journalists on North Korea and diplomatic affairs.